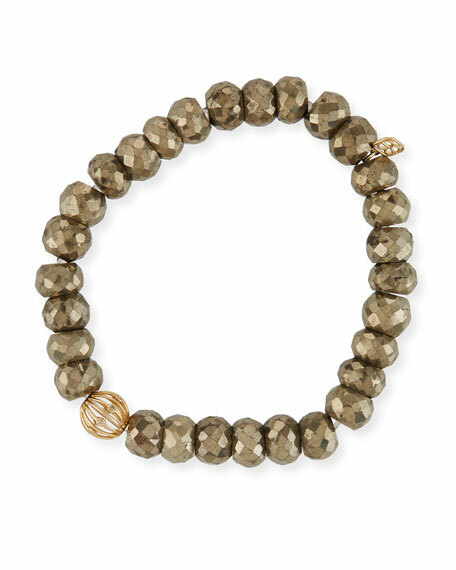 8mm faceted champagne pyrite beads. 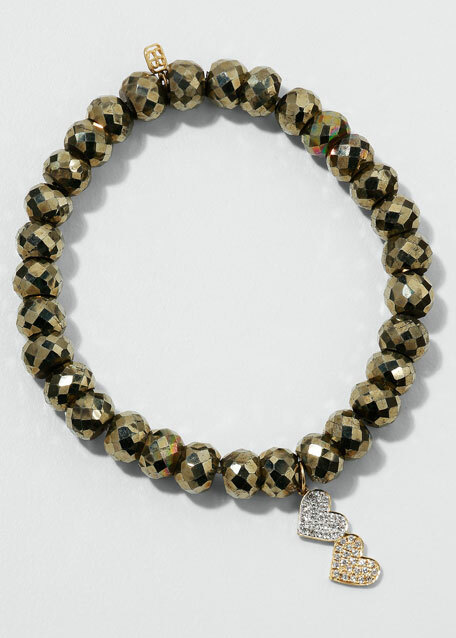 14-karat gold double heart charm with diamonds. 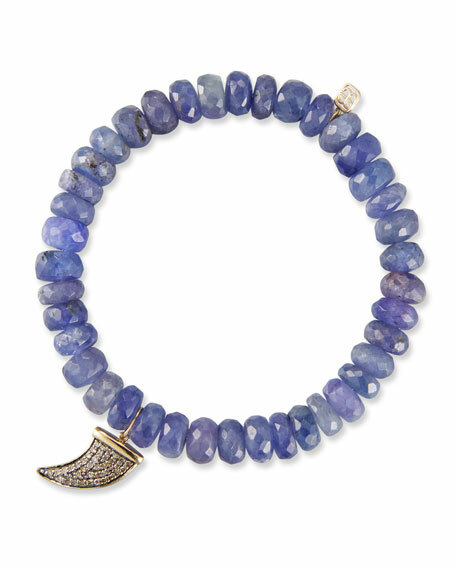 Sydney Evan tanzanite rondelle bracelet with horn charm. 14-karat yellow gold medium horn and logo charms. 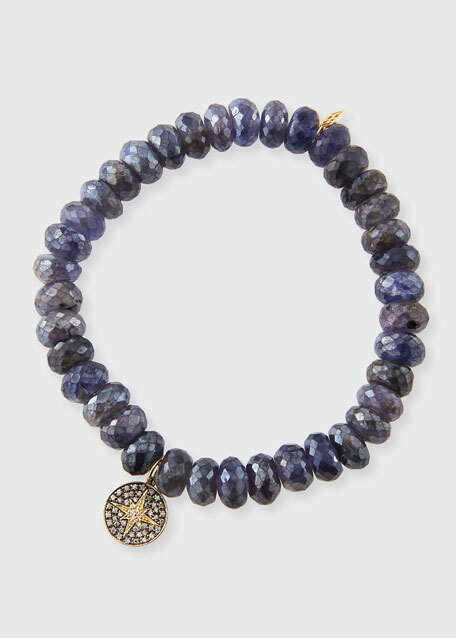 Faceted multihued blue tanzanite rondelle beads. Champagne diamond pav medium horn charm. 0.22 total diamond carat weight. Slip-on style. Made in USA. 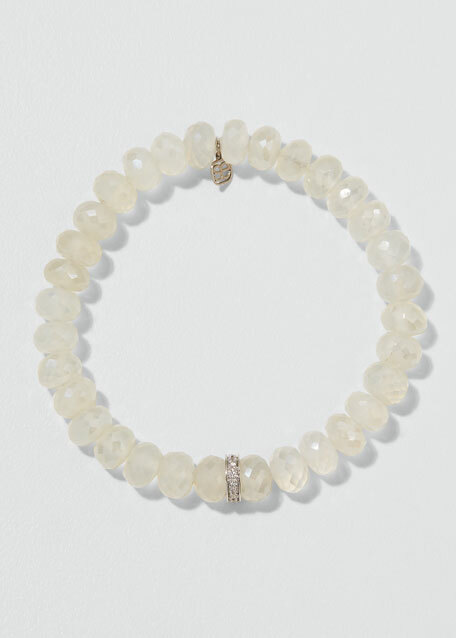 Sydney Evan diamond and chalcedony bracelet. 14-karat white gold logo charm and rondelle. Single wheel station with white diamonds. 8mm faceted chalcedony rondelle beads. 0.15 total diamond carat weight. Approx. 6.3"L; 2.5" diameter. Slip-on style. Imported.